Members of Eta Upsilon, the Illinois State chapter of Sigma Delta Pi. 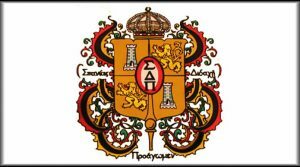 Illinois State University’s Eta Upsilon chapter of Sigma Delta Pi, the National Collegiate Hispanic Honor Society, has been named an “Honor Chapter” for its exceptional activities in 2017-18. This year the honor was bestowed to only 10 chapters nationwide. This is the seventh consecutive year that Illinois State enjoys this distinction. Chapter Advisor Angela Bailey de las Heras played an active role in earining this national award. 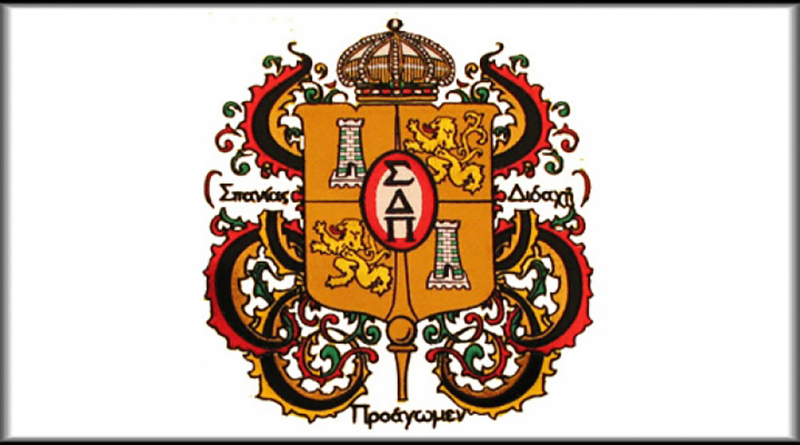 Eta Upsilon, the ISU chapter of Sigma Delta Pi, offers Spanish majors and minors a wonderful campus community and many opportunities to get involved with the promotion of Spanish, bilingualism, and cultural events at ISU and in Bloomington-Normal. They volunteer at the Children’s Museum for the annual Día de los Muertos event for families, they hold conversation hours for Normal high school students and volunteer in Unit 5’s bilingual elementary program. The Department of Languages, Literatures, and Cultures is exceedingly proud of its nationally recognized honor society. Every summer more than 613 chapters of Sigma Delta Pi are asked to submit an annual report detailing their numerous activities and projects from the academic year. Based on these reports, the National Executive Committee chooses approximately 10-15 “Honor Chapters” annually. The chapters awarded this honor demonstrate projects exceptionally high in caliber, that also reflect the Sigma Delta Pi mission of honoring excellence in the study of the Spanish language, contributing to cultural understanding and upholding the goals of the society. Those interested to know more about ISU Chapter can contact Chapter Advisor Angela Bailey de las Heras. For additional information, contact Sigma Delta Pi’s Executive Director Mark P. Del Mastro.